Attorney Ryan King is a dedicated criminal lawyer and litigator. His mission is to provide each client with excellent service and to obtain the most favorable outcome for each case he handles. Mr. King graduated with his Bachelor of Science degree in business administration from the University of Southern California in 1999. He then attended Pepperdine University School of Law and received his Juris Doctorate in 2003. 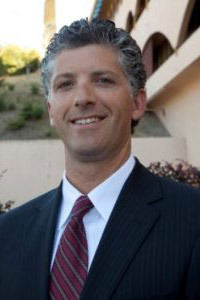 He is a member of the California State Bar and the San Francisco Bar Association, and he is licensed to practice law throughout the state of California, including before the U.S. District Court for the Central District of California. Attorney Ryan King is a dedicated criminal lawyer and litigator. His mission is to provide each client with excellent service and to obtain the most favorable outcome for each case he handles. Having practiced prosecution in the past, Mr. King knows what steps the opponent will take to pursue a case and can aggressively fight against those actions to defend his clients. He has handled a wide variety of criminal cases, including DUIs and other traffic offenses to more serious cases, such as charges of high-profile sexual assault, gang crimes, and murder. He is also well-respected by his colleagues, as well as by judges and members of law enforcement, having built a strong reputation for excellence and legal ethics during his career. He started his career as a defense attorney for large insurance companies and handled cases involving claims of fraud and bad faith. This was followed by six years of prosecution experience with the Los Angeles County District Attorney’s Office, where he honed his criminal litigation skills. Three of those six years were spent focusing on serious and violent defense cases heard in the Compton Courthouse. Anyone facing serious criminal charges should not hesitate to contact Okabe & Haushalter to learn what Attorney Ryan King can do to fight their charges. The criminal defense firm of Okabe & Haushalter strives to provide the best, most aggressive, and most effective legal defense available. No matter how serious your criminal charges may be, our team has the skill and experience to defend you from a conviction. Call now to schedule a case evaluation appointment with a Chicago criminal defense lawyer. We can fight for you!